Jul. 12, 2018 9:00 a.m. 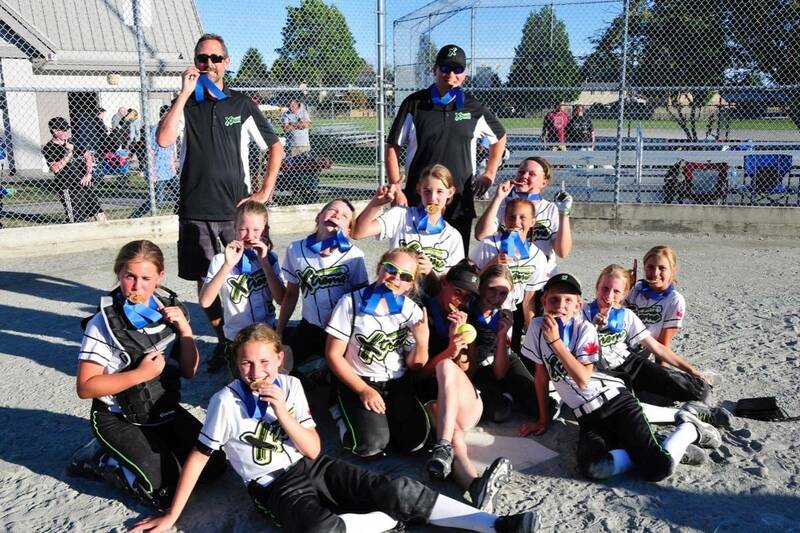 The Langley Xtreme 06 took the title of B.C.’s U12B softball champions, following an intensive weekend of fastpitch play July 6 to 8 at Richmond’s London Steveston Park. Two days of round-robin action saw the Xtreme grab third in the gold pool, just behind second place Langford Lightening and top-ranked Delta Inferno. 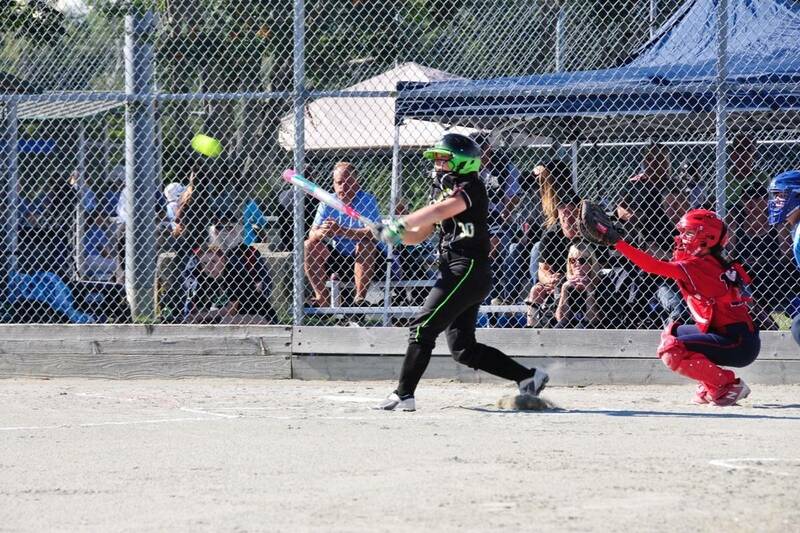 The start to the playoff rounds saw the Xtreme easily advance with an 8-3 win over sixth place Ridge Meadows Rage and a 7-2 finish over seventh place Fraser Valley Venom. A hard fought but disappointing 0-3 loss to league-play rivals, the Delta Inferno, meant the Xtreme had to play and beat hometown favourites, the Richmond Islanders, in order to advance to the gold medal finals. After a nail-biting 8-7 win that saw a tie-breaking inning with international rules in play, the Xtreme had to once again face up against the Delta Inferno. The well-matched rivals brought their best to the field for a full seven innings of play. In the end it was the Xtreme who managed to dig deep and sustain a strong defence for a 5-4 gold medal victory. “This weekend a hard-working group of 11- and 12 year-old girls took to the filed with a season goal to win provincials,” said Xtreme 06 head coach Nairne MacLean. 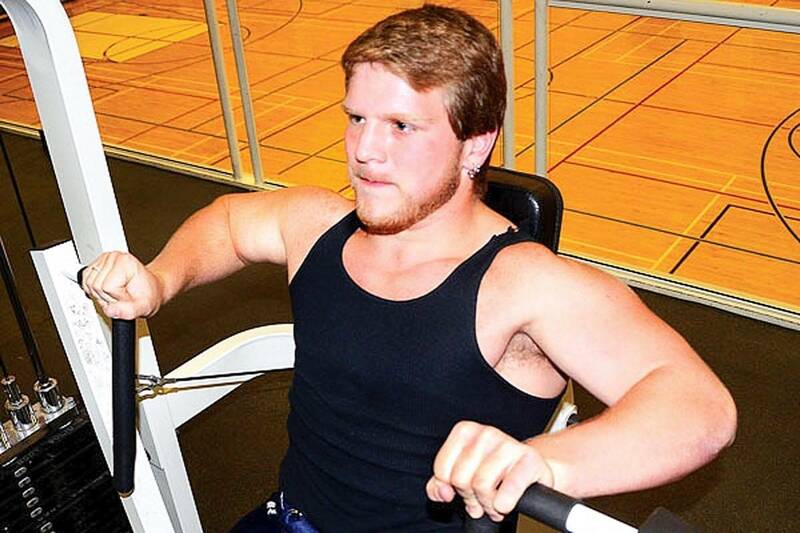 “They put their hearts into the game and battled hard. When the final strike was thrown to end the gold medal game I felt nothing but pride.